Sarmada is a town in the Harem District, Idlib Governorate of Syria. The town contains a church consecrated by Patriarch Elias of Antioch in 722 AD. The town is also distinguished by the Roman tomb of Alexandras, dated to the 2nd century AD. The tomb is rectangular and supports two columns, composed of thirteen cylicrical stones, joined together at the tenth cylinder by a horizontal piece with a further capital on top. 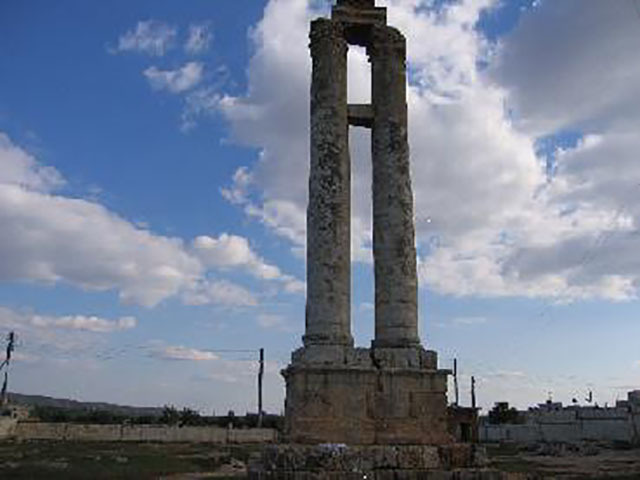 Sarmada was inscribed as a UNESCO World Heritage Site as part of Ancient Villages of Northern Syria in 2011.